“Honor from death,” I snap, “is a myth. Invented by the war torn to make sense of the horrific. If we die, it will be so that others may live. Truly honorable death, the only honorable death, is one that enables life." I write books about teens who must do brave things. I'm originally from California, but I moved to Ohio to marry my husband, who is the smartest and therefore sexiest man I know. We live in Columbus with my teenaged stepsons, who are awesome. My books tend to contain lots of adventure, a little magic and romance, and smart girls who make (mostly) smart choices. I especially love to write about questions I don't know the answers to. In The Girl of Fire and Thorns , Rae Carson delivers a unique vision of a fantasy YA novel. Our heroine, Elisa, starts the novel as your average sometimes awkward/sometimes over-confident teen. She is apparently destined for greatness (via a prophecy and a belly button glowing gem), getting hitched to a Prince she has never met, living in the shadow of her beautiful and all-around fabulously competent sister and is chubby. In spite of the characteristics that might cause other YA heroines to hide behind their hair (talking to you, Bella and Bella-clones), Elisa is loud and proud. Sure, she has her nervous moments, but overall, she accepts her fate with good grace and humor. Elisa is unsure about this all of this prophecy noise, but wants to do her best when the time comes. Instead of hiding, crying or trying to run away on her wedding day, she faces it with nervous calm and wants to make her husband happy (I only bring this up to attest to her lack of whiny-ness, not because I think young girls should blindly enter into arranged marriages and live to please the menfolk. 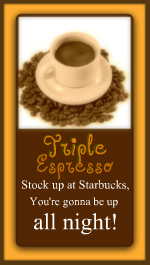 Just so you know...). She loves food and is overweight, but instead of being depressed about this, she accepts herself the way she is. She's simply a happy girl. This uniqueness makes her stand out from the pack for me. I loved the Spanish undertones throughout and found it an interesting departure from UK based fantasy (every Prince has an English accent and is named William, right?). 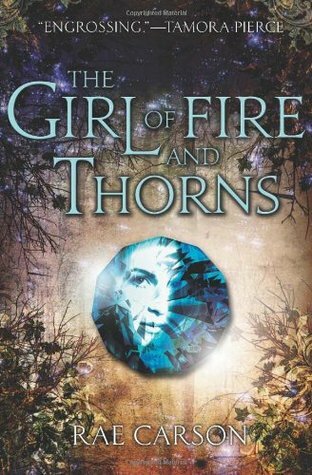 The Girl of Fire and Thorns does have a religious undertone, but I didn't find it distracting. The romance was fairly well done and I enjoyed the interactions. But, really, the romance took second place for me compared to Elisa's journey. Well, you know as well as I do, dear reader, that there would be no novel if Elisa was allowed to just float through life being happy and eating danishes with her hubby, right? So, hi-jinks ensue, things and people are not what they appear to be, someone gets kidnapped and is forced to walk across a desert, secrets are exposed, other points of view are examined, love is won and lost, flirtiness happens, people die and Elisa finds her purpose. She emerges from the fast paced and highly intriguing tale a changed woman. I loved seeing her transformation and was rooting for her at every turn. I haven't read the sequel yet (The Crown of Embers), but am interested to see where these core changes will lead her. If The Girl of Fire and Thorns was essentially a coming of age story for Elisa, what will the next installation in the series bring? I also loved this book! Crown of Embers is even better! Its all about her trying to find her purpose with her Godstone, and trying to be a good ruler as queen. Her journey is far from finished! There is also a new romance, and its much hotter than the first book! I've got to get started on it! I won't let myself read the next book in a series until I have done the review for the first one (I get too confused otherwise) So....now I can reward myself!! !